PLAY is the only adjustable diffuser allowing for a full 360 degree horizontal adjustment of the airflow. This unique feature significantly improves thermal comfort in shared office spaces where people have different tolerances to temperature and air drafts. 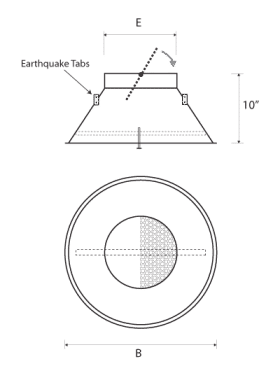 It is also used in other commercial applications where adjustments may be desired. 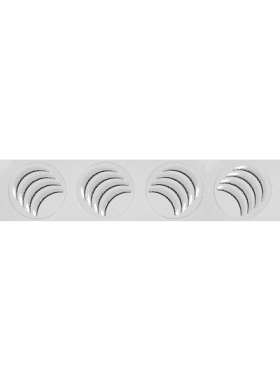 Each round sector can rotate 360 degrees. The diffuser is easily adjusted from the face. 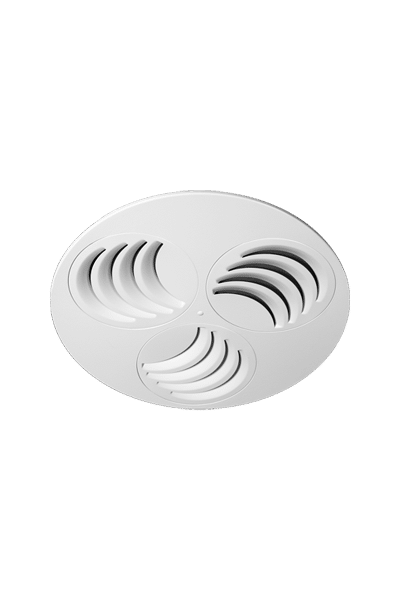 PLAY-C Adjustable Sectors Round Diffuser comes in 25″ (625 mm) face diameter and is recommended for air volumes between 160 cfm and 310 cfm. PLAY is also available in square (PLAY-S) and rectangular (PLAY-R) shapes. 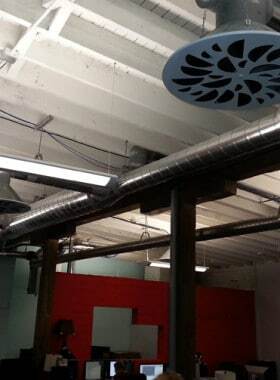 PLAY Adjustable Sectors Diffusers by EffectiV HVAC and MADEL® are designed to be used in air conditioning, ventilation and heating systems at a temperature differential up to 54ºF (12º C). 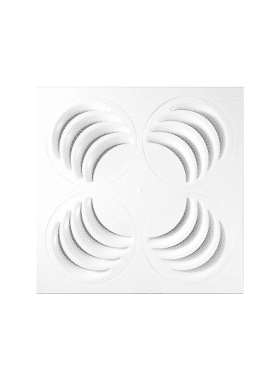 They can be mounted in false ceilings, on drywall or suspended from the ceiling, from 8.5 feet to 13 feet (2,6 up to 4 meters) high. 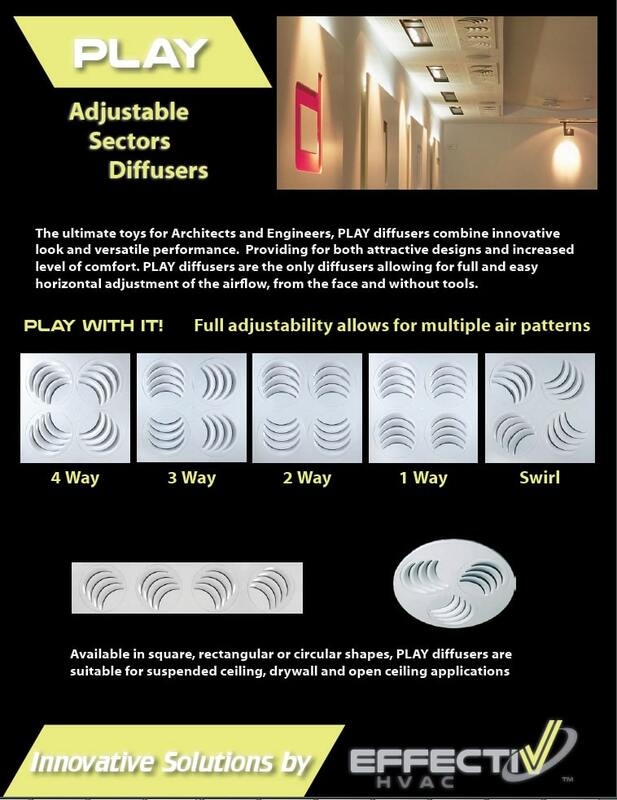 The PLAY diffusers respond to a large variety of functional and architectural requirements and provides new solutions not previously available, thanks to their manually-adjustable sectors of diffusion. The adjustment of each sector is made easy by means of partial stoppers that indicate the different positions. According to the direction of the sectors, PLAY diffusers can act as a swirl or directional (1, 2, 3 or 4-way) diffuser. 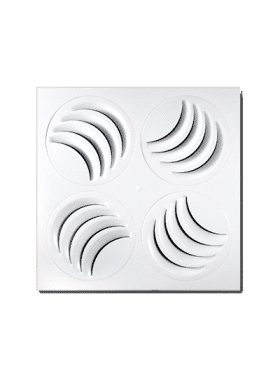 PLAY diffusers, combined with PERFAIR high performance plenum mixing boxes, emit a uniform airflow all over the passage section despite variations in supplied air temperature and velocity as well and non-ideal duct installation. In any one of their configurations, PLAY diffusers use the coanda effect and create a uniform airflow in all effective areas. 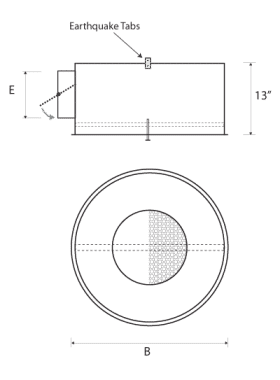 The high induction ratio helps reducing stratification. 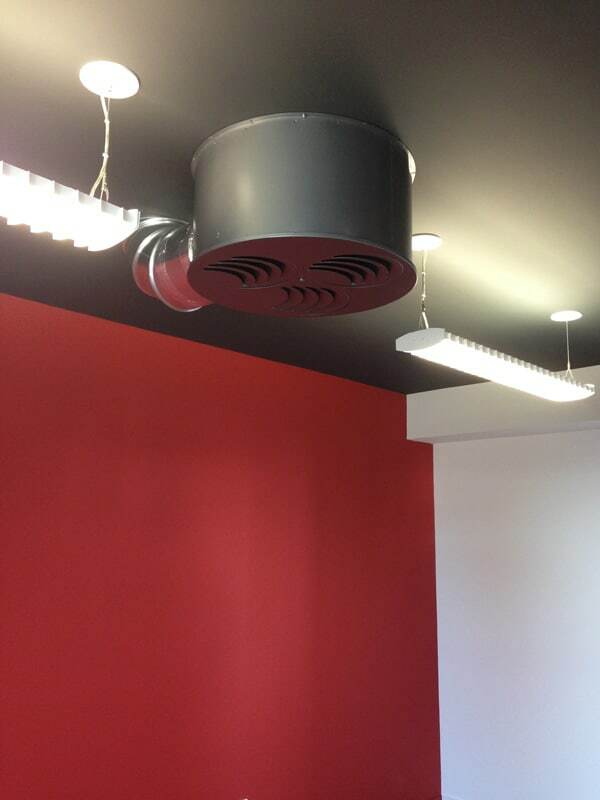 PLAY diffusers allow a flow variation of 60% keeping the air stream stable. 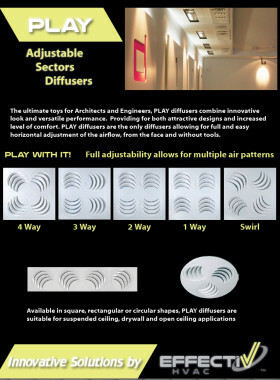 PLAY diffusers unique 100% horizontal adjustment, high induction ratio and reduced air stratification allow for designs with a much higher level of comfort and provides opportunity for significant energy savings. Face and plenum box are ordered separately and attached together with a screw thru face fixed in plenum crossbar.